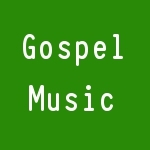 Listen again to Songs of Hope gospel songs, broadcast on 26Aug18. Mike Purkey heads the set off with “Eastern Gate”. Play time is 12 minutes. Other Songs of Hope posts on Southern FM website.